View More In Report Covers. This pack of 50 sheets cardstock paper are ideal for making your presentations look more professional. Each sheet is made of heavy weight 300 GSM card stock. They sure will impress your prospective customers or business clients when you give them pitches. They can also be used for kids school art projects, poster signs, and other creative arts. Each sheet is letter sized measures 8.5 x 11 inches. 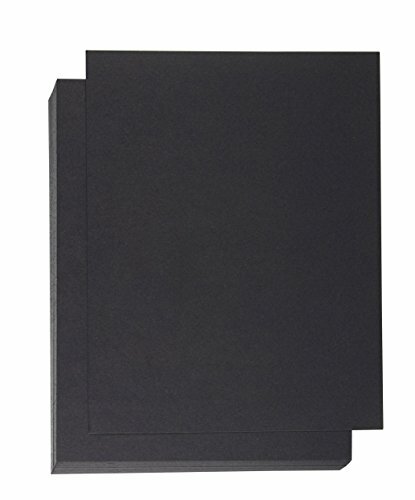 CARD STOCK PAPER: Includes 50 sheets of thick cardstock paper that are perfect for business and personal uses. The papers are unpunched to adapt any binding system. SUPERIOR QUALITY: Each paper is made from high-quality 300 gsm paper that is both elegant and durable. MULTI PURPOSE: Perfect for office presentations, school reports, client pitches, party invitations, and kids' crafts. GREAT FOR MANY OCCASIONS: Always useful for important meetings, trade shows, conventions, corporate events, and banquets. DIMENSIONS: Each letter size cardstock paper measures 8.5 x 11 inches.